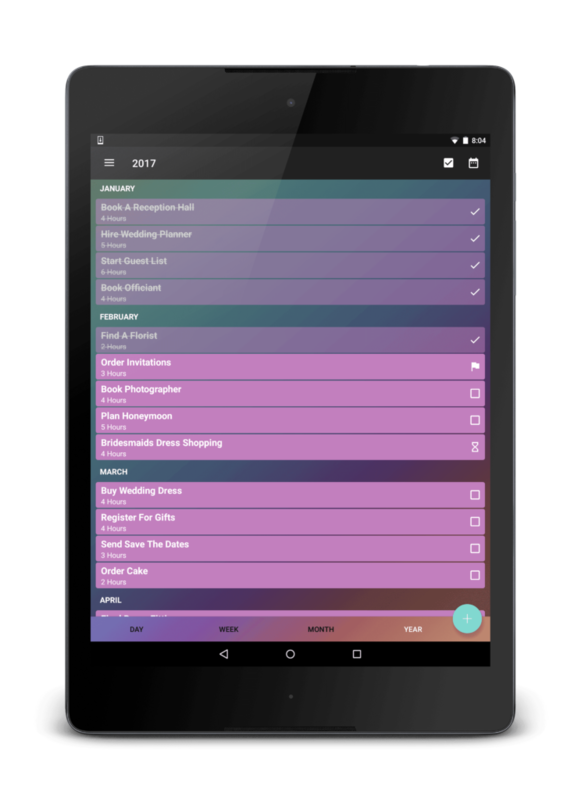 Plan your Week by dragging and dropping tasks between days. 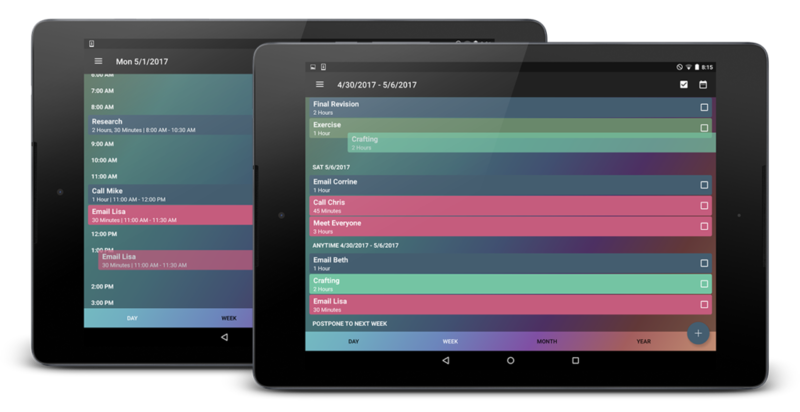 When you are done, you can organize your Day with drag and drop, too. Do most of your tasks just need to be done “this week” or even “next month” or occasionally “Tuesday at 3pm”? Schedule your tasks by the month, week, day, or even exact time. No need to add unnecessary detail. Planning a wedding, a big vacation, or another project that will spread over multiple months? Flexible scheduling makes long term planning easy. You can zoom out and look at your entire year. Assign a task to “February” without having to specify the exact day. Worry about getting more specific when February gets closer. 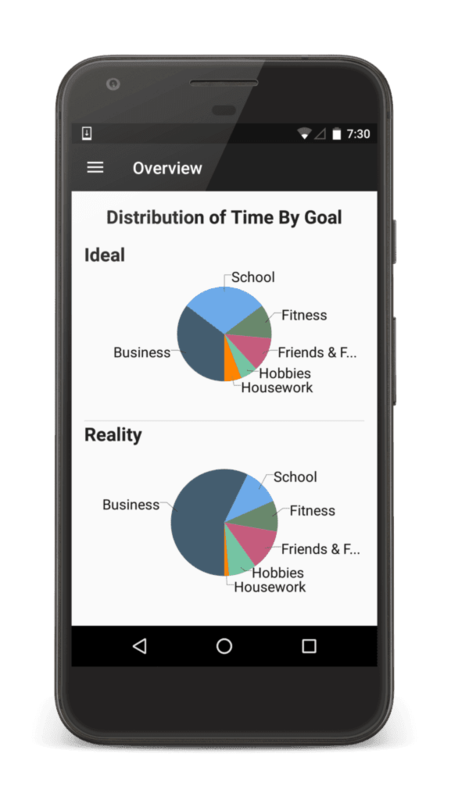 Simply Digital is a small company making simple apps to organize your life. 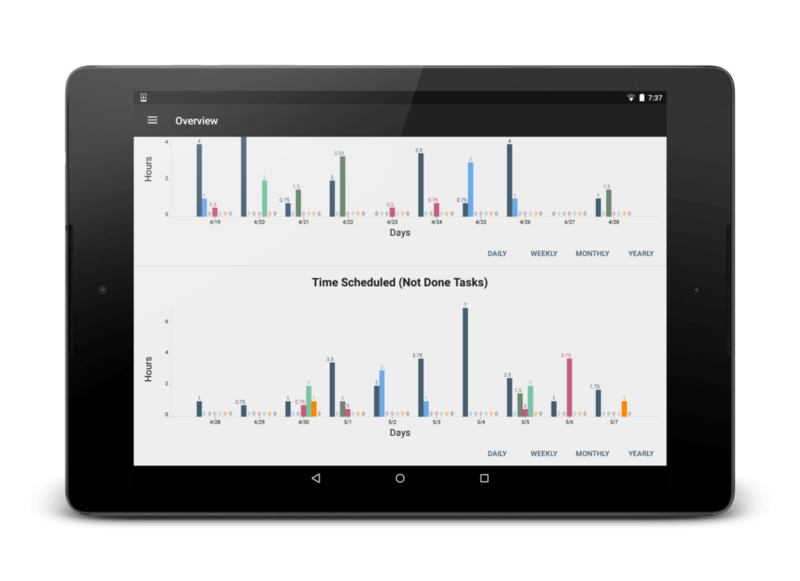 We want to build tools to help our users be their best, most productive selves. For more about what motivated us to build this company read our story. 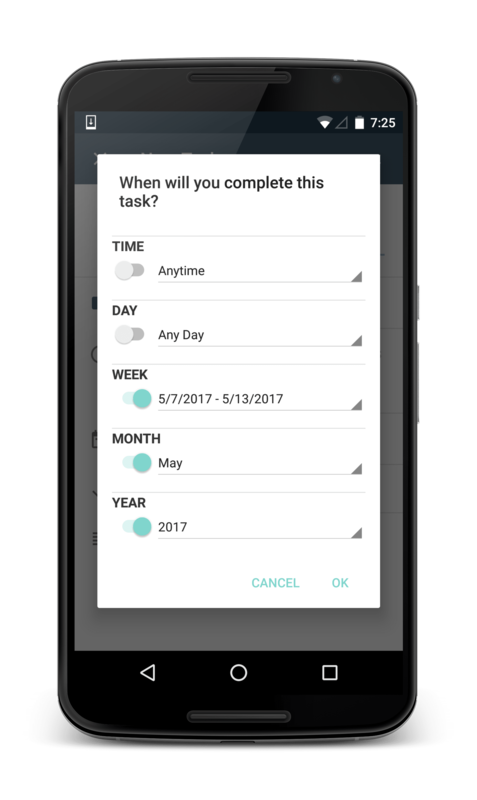 Our first app, Simply Goals & Tasks, solves the problem of fitting a long to-do list into a flexible calendar. It doesn’t add excess detail, forcing you to set false deadlines that end up getting changed anyway. You can always see how full your schedule is, allowing you to make more informed decisions when faced with new opportunities . Goal Planning is vital for people with flexible schedules. By combining Goal Planning with Task Management, Simply Goals & Tasks lets you look backwards and see if you are really spending your time where you think, let alone where you want. Be your most productive self, and recognize where all this time you thought you had is going.